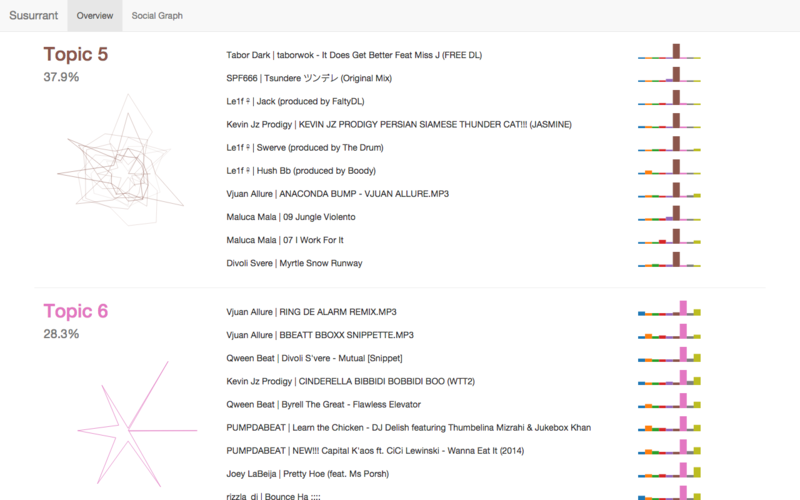 Susurrant is a tool for analyzing collections of sounds, providing visualization and sonification of the results. It uses topic modeling to provide a machine-generated concordance for a corpus of sounds embedded in a networked social context. 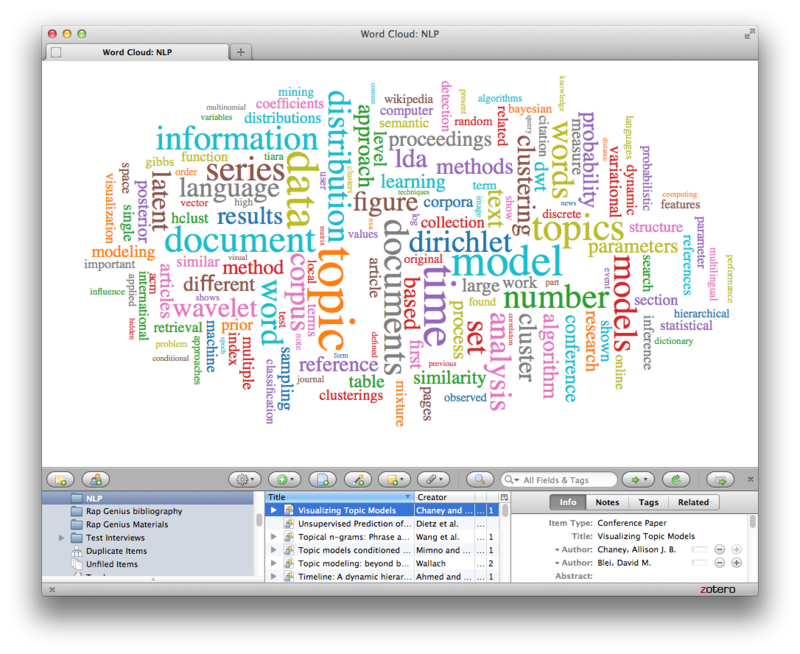 An open-source extension for the Zotero bibliographic management software, allowing individual researchers to generate analyses and visualizations of text corpora without requiring extensive computational resources or technical knowledge. This tool is being developed in close collaboration with historian Jo Guldi; it was first funded by the Google Summer of Code, under the guidance of Matthew Battles at the metaLAB @ Harvard. A Processing library that helps one create and manipulate patterns of timed events. These patterns can be mapped to audiovisual output, transformed in various ways, and recorded to enable non-realtime synthesis and synchronized video. 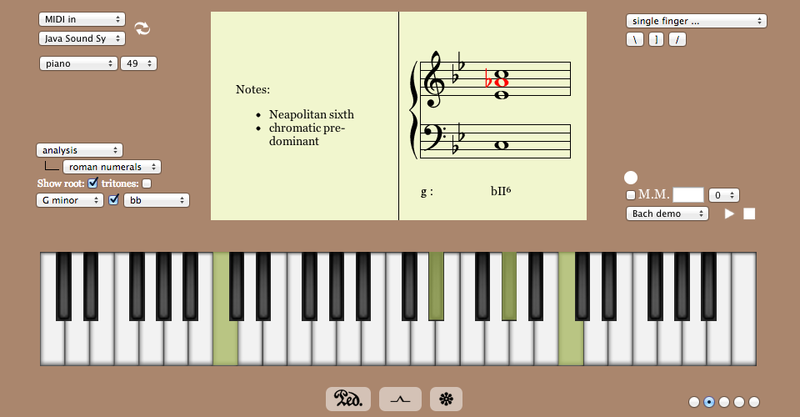 An HTML5/Java-based web app for teaching keyboard harmony, written in collaboration with music theory Ph.D candidate Rowland Moseley at Harvard.